Arizona's Friendliest 55+ Retirement Community. Active, Resort-style Living at an Affordable Price. 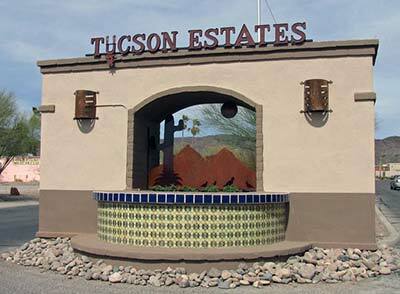 On the outskirts of Tucson Arizona lies the best kept secret of the desert southwest: Tucson Estates. Set against the backdrop of the enchanting Tucson Mountains, Tucson Estates provides first class amenities and a full schedule of activities, programs, and clubs designed to entertain, stimulate, and educate. Whether you enjoy keeping busy, relaxing by the swimming pool, or visiting with friends, you are bound to find something you like. There are nearly 100 regularly scheduled activities to attend. Make new friends playing golf, tennis, pickleball, or shuffleboard. Enjoy hiking the many trails in our backyard. Tucson Estates is more than just a destination.